Dress like Matt Smith's Eleventh Doctor! 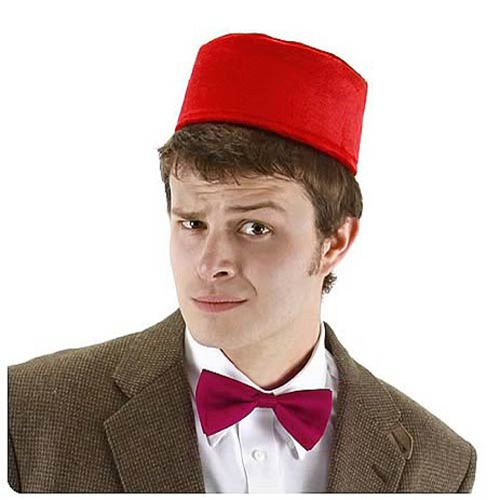 This Doctor Who 11th Doctor Fez Hat and Bow Tie Kit comes with the red fez hat and red bow tie that the Eleventh Doctor is so fond of donning. This is a great item for anybody who wants to dress like the esteemed Time Lord from Doctor Who! Ages 14 and up.